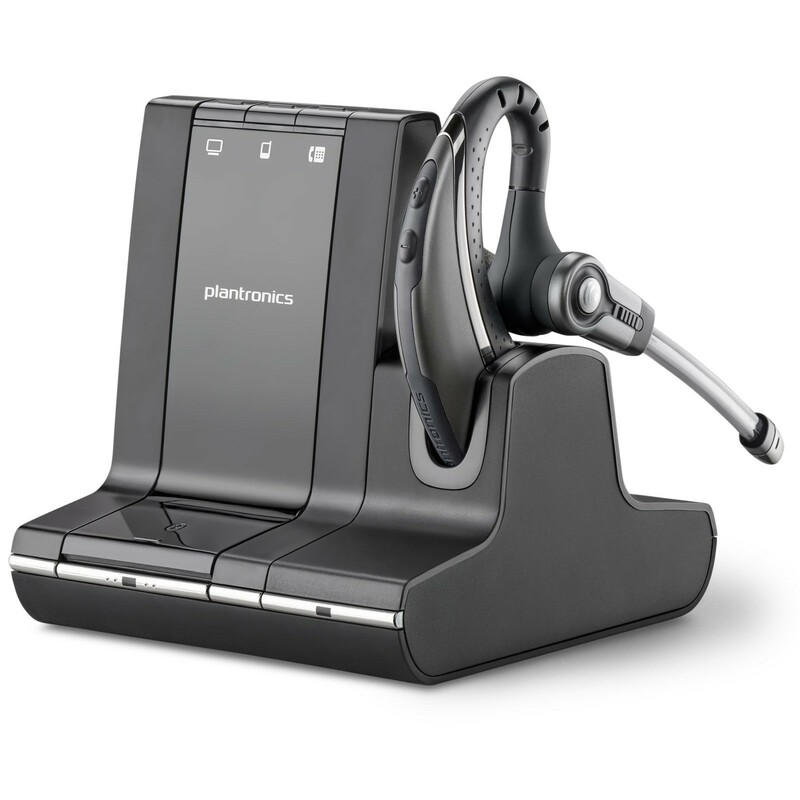 The Plantronics Savi W730 is a sophisticated wireless headset that has been optimised for unified communication, and is equipped the latest advances in sound technology for seamlessly managing all PC, mobile and desk-phone calls in exceptional clarity and comfort. Providing three-way connectivity between desk, PC and mobile phones, the W730 offers a convenient solution for modern business environments. Boasting an adaptive power system ensures that the headset offers a longer battery life for talk-time and stand-by. Sound quality is enhanced by integrated CAT-iq technology, which provides premium wideband audio for better sound, whilst DSP and noise-cancelling make calls sound more natural. If you’re looking for a comfortable and stylish over-the-ear headset that can be used across your PC, Mobile, and Desk Phone then the Plantronics W730 is the ideal choice. I purchased the W730 as I needed to be able to take calls on both land line and mobile. The Bluetooth works seamlessly, and the range from the base is amazing. The sound quality on landline and mobile calls is excellent. I've used Plantronics headsets in the past but this is by far the best. Would definitely recommend.